What do hops, a pop and some fancy dress have to do with Silverton Street Market? 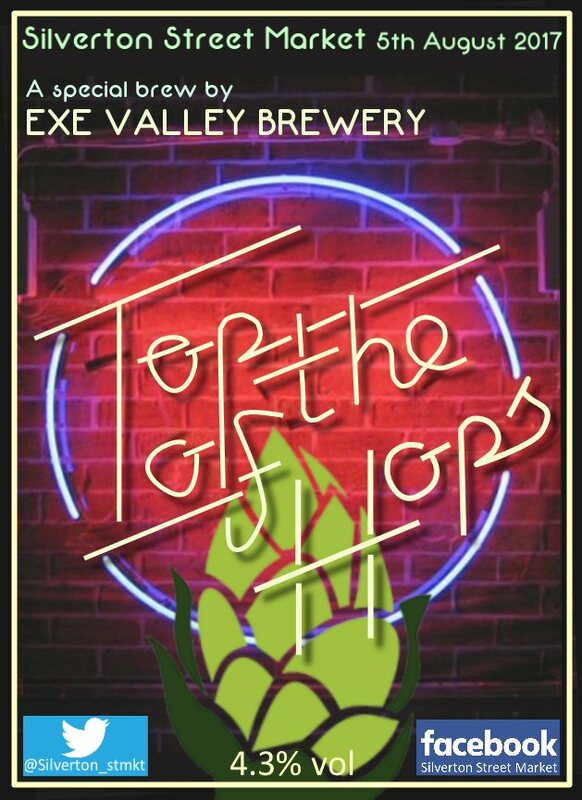 Exe Valley Brewery are launching their celebratory brew ‘Top of the Hops’ in their brewery bar on the 24th June. Each year the Exe Valley Brewery craft a unique beer to support Silverton Street Market. This year, as the Street Market theme is ‘music’ the brewery have created a golden hoppy brew using their own spring water, Devon malt and English hops and aptly named ‘Top of the Hops’. Everyone is welcome and if you turn up in fancy dress, Adele, Stevie Wonder, Bach, Mick Jagger, Dolly Parton, Harry Styles, the possibilities are endless, you might win the prize of free beer vouchers. The Exe Valley Brewery bar opens on the last Saturday of the month throughout the summer from 12 noon till 6pm and is only a mile from Silverton. So pop up the hill to the bar at the brewery and enjoy the golden hoppy brew ‘Top of the Hops’.